Flatfish fans prize plaice and lemon sole for their flavour. Only available for a short period each year (late spring to early autumn), they’re also a delicacy. Lemon sole and Dover sole are different species but often used interchangeably. Compared to Dover sole, lemon sole stocks are healthy and increasing. This is mostly because quotas for lemon sole are low making it a sustainable choice. Plaice, with cod and haddock, is one of the most used fish in national classic fish and chips. This recipe from BBC Food for crisp fried plaice is a great way to try plaice and family friendly. Check out our recipe library for plaice and lemon sole recipes, including: flatfish with mandarin oranges, lemony fish fillets and mustard glazed lemon sole fillets. You can also ask one of our knowledgeable call centre staff for further information and recipes. Purchase fresh or frozen plaice by the kilo. 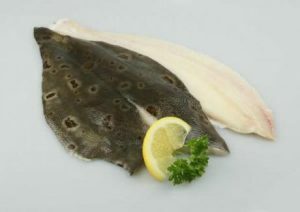 Lemon sole is also available fresh or frozen. Both are available in combinations with your other favourites like cod, haddock and salmon with savings.